Researchers at the Massachusetts Institute of Technology (MIT) have always had the legacy of doing things that were so called â€œimpossibleâ€ by the rest of the world. Recently they came with an idea of a new imaging system that can capture photons at a rate of one trillion frames per second. Yes, you heard it right. Now we can capture the video of the fastest known particle in the universe, the photons. This virtual slow motion camera captures the video of photons traversing through space. This high-speed camera is more than enough to produce a slow motion video of light travelling through objects. The camera consists of an array of 500 sensors, which are triggered at almost trillions of a second delay. Titanium sapphire laser is used as the light source in this camera. The works upon an innovative technology called the streak camera.Â In the steak camera, the aperture will be a narrow slit, which converts the photons into electrons. These electrons are now passed through an electric field, which deflects them at almost 90 degrees, that is perpendicular to the slit. As the electric field is varying quickly, the late arriving photons will deflect more.Â The camera takes many images and these are stitched together to get the 2D video of photos. This camera will surely have many applications in future, especially in the field of medical imaging, and in the field of consumer photography. In medical imaging, ultrasound can be done with light because you can easily analyze how light will scatter volumetrically inside the body. 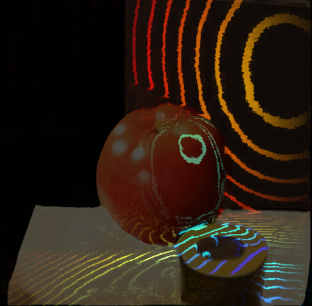 Again, the same concept of scattered light can be used to analyze the defects in materials and thus finds a good application in industrial imaging. Since the basics of consumer photography depends on lighting effects, photographers have faced a lot of difficulties setting expensive and sophisticated light sources at the correct angles. This device can ease these problems as it can capture photons that are moving through space, and analyze its movement. This helps the photographer to develop better photos, rather than the ones that were caught with lighting effects, by installing expensive light sources. By using this camera, we can analyze how light will scatter inside the human body. The video below shows how the camera is setup for the experiment along with the method by which the mirrors are rotated to scan the field of view across the entire scene. The video below shows a laser pulse being passed on to a bottle. The whole scene is captured with a camera at a rate of trillion frames per second. what an extraordinary marvel……. kudos to the researchers…. wonderfull it`s a new idea for science…. its not a wonder! its just a flip-book! the camera makes a pictue over two mirrors. after each picture themirrors change the angle a bit.. so u see never see the whole picture at once. with a REAL highspeed camera u do! its just VITUAL..its not the same photon from the beginning to the end of the capturing! Unbelievable,wonderful,amazing .Thanks a lot for providing this information.